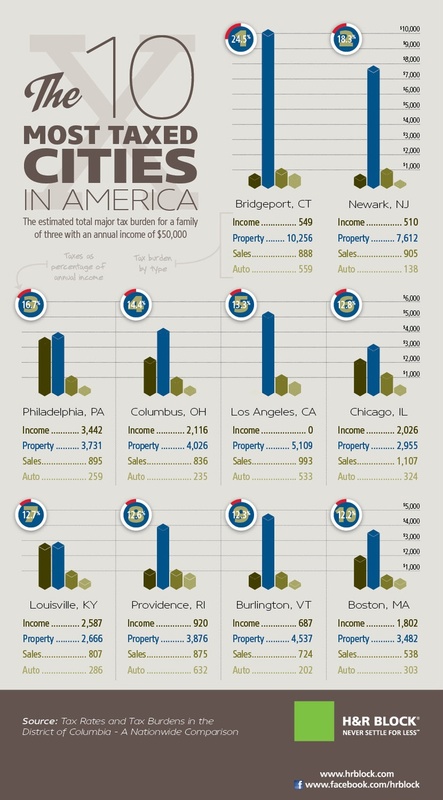 For a family of three, with an annual income of $50,000, here is the estimated total tax burden of some cities. In this city, the tax forms 24.5% of the annual income. This is divided into the following categories. Tax takes up 18.3% of the total income. When broken down, this gives us the following analysis. Income tax forms about 12.8% of total income of families and the tax burden is broken down as follows.